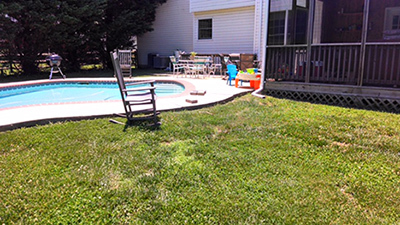 Our Washington DC Southern Maryland suburban area business can provide the complete outdoor maintenance-free living area for existing homes and businesses, completed during new construction or as part of remodeling. 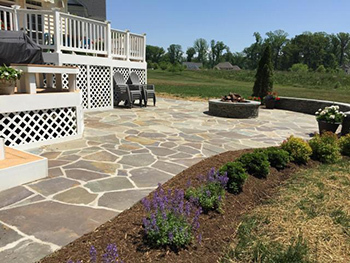 Garcia Patios and Landscaping installs maintenance-free decks, stairways, stair rails, railing, interlocking concrete pavers for driveways, patios, pool decks, walkways, sidewalks, fire pits, fireplaces, retaining walls, outdoor kitchens. We service all of Prince Georges County, Montgomery County, Howard County, St. Mary’s County, Anne Arundel County and Calvert County Maryland. 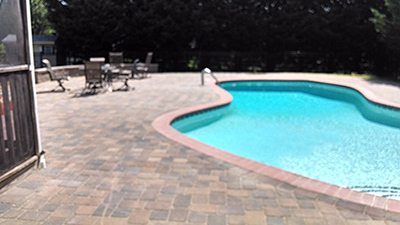 Whether you are interested in a new beautiful paver patio, low maintenance deck, driveway, pool deck and landscape design in the Prince Georges County, Montgomery County, Charles County, St. Mary�s County, and Calvert County Maryland areas Garcia Patios and Landscaping will surpass your expectations. To set up a FREE consultation estimate for decks or porches, Click Here. 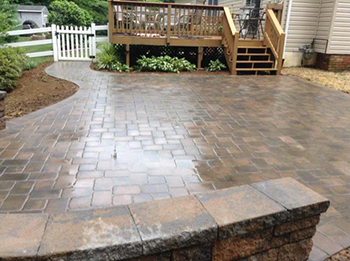 To set up a FREE consultation estimate for an interlocking paver patio, walkway or driveway, Click Here.